While I was in Austin, I saw an Outdoor Voices pop-up, and a $20 coupon helped spur me to stop by the adorable Outdoor Voices store. 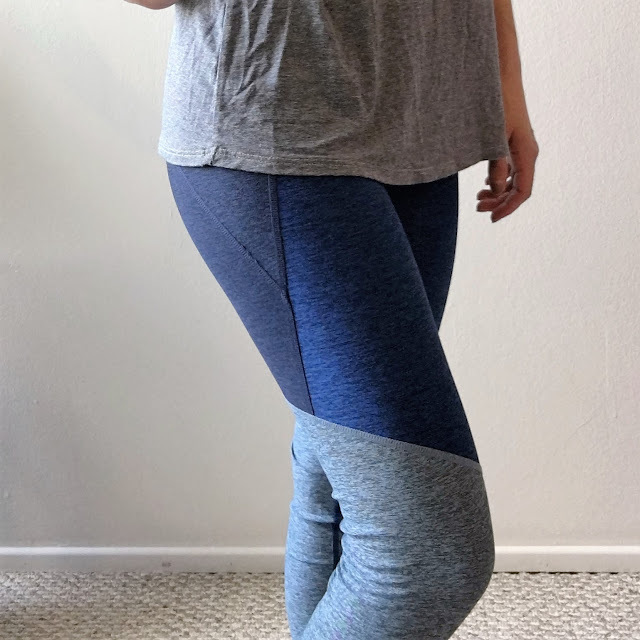 I wanted to do a quick review of their leggings, in case anyone else had been eyeing them. 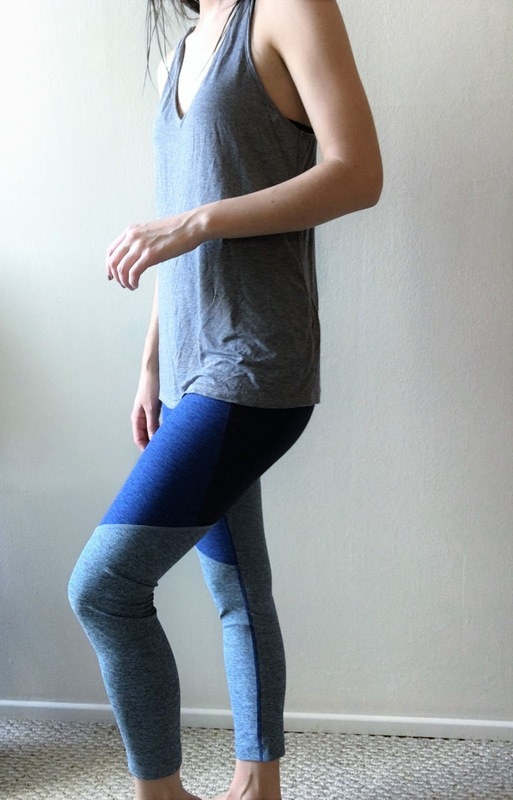 These are the Outdoor Voices 3/4 Two Tone Warm-up Leggings. 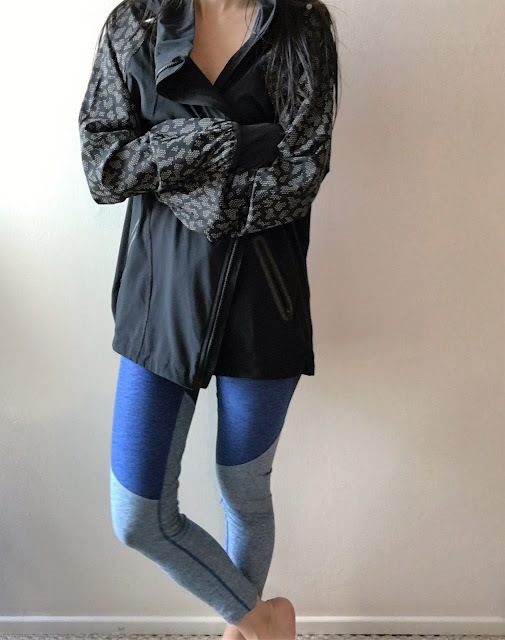 They first caught my eye because I hadn't seen this color-block style in a legging before, and I like that the company has a young female founder. I also tried the regular length leggings, but they were ridiculously long on me (I'm 5'2"), so I opted for the 3/4 length, which as you can see in the photo above - are basically full length on me. I've worn them to go do some easy outdoor exercise (walk/jogging) and pilates and they have held up well. For reference, I am wearing a size small, and usually wear a 25 in jeans. I also fit into the XS, but I hate when things are too tight across my stomach, and so I opted for the S.
(iii) the style and color are great. (ii) The rise is higher than I prefer - they go up to about my belly button. Evidence of the high rise. It was drizzling, so I had to layer. Overall, I'm excited to keep an eye on this brand and see what they do in the future. Their recent collaboration with A.P.C. makes me think they will be one to watch. 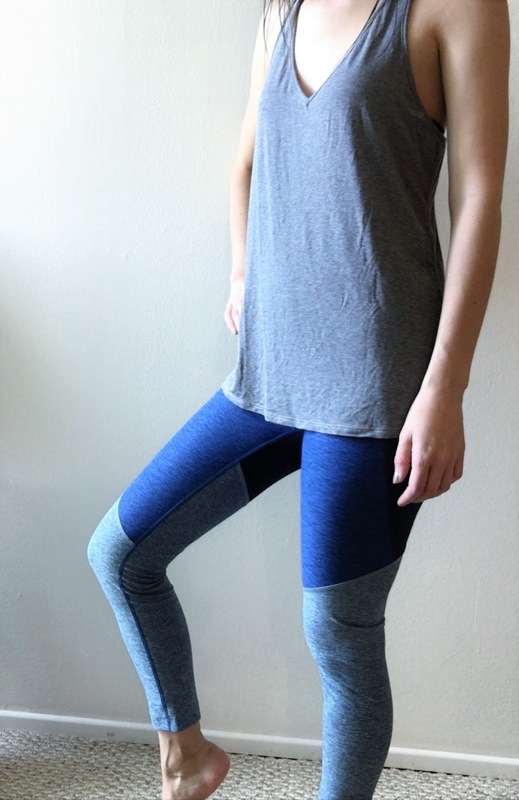 What do you look for in workout clothing and what are some of your favorite workout brands? Came to know about Outdoor Voices brand from a colleague last year. Initially tried out a few items from their collection and found those to be of really good quality. So I often purchase their products now and then. Have recently started yoga sessions too and purchased the ALO yoga set, which is really comfortable as well. I agree - I think the quality of their products is really nice. I hadn't heard of ALO but will definitely check them out!